Not that it's any of your business, but I'm looking for pebbles. The Tortoise and the Hare, The Boy Who Cried Wolf, The Goose That Laid the Golden Egg — we all heard those stories as kids. They were a few of Aesop’s greatest hits, culled from over six hundred stories known collectively as Aesop’s Fables. As you know, a fable is a short story designed to teach a moral lesson, such as “perseverance pays off”, “think before you act”, or “shut up, you little brat”. Often a fable uses animal characters who have human qualities or flaws. That ploy may have kept Aesop out of nuisance lawsuits; he could get away wtih calling a peacock vain, but if he’d said “I’ve got this neighbor named Egotus who’s a swaggering fool”, all of Aesop’s royalties would have gone to out-of-court settlements. And who, by the way, is calling whom vain? Sometimes spelling your name with a ligature A E, as in “Æsop”, strikes me as a bit pretentious. I’ll take a chance on calling him out, since there probably was no real Aesop. “He is almost certainly a legendary figure,” says the Encyclopedia Britannica (or, as its publisher prefers, the Encyclopædia Britannica). There are various traditions, including one about Aesop having been a slave, but there is no solid historical evidence that he lived in the 6th century B.C., as Herodotus asserted. The first collection of fables attributed to someone called Aesop appeared a couple of hundred years later. Chances are, Aesop was a name invented to give the fables more credibility than merely ascribing them to “anonymous”. Aesop’s Fables were probably folk tales that were accumulated, over time, from various cultures. Even if Aesop was fictitious, many of the fables do convey some truth. This was demonstrated recently in a scientific experiment based on one of the fables called “The Crow and the Pitcher”. You may recall the story: a thirsty crow finds a container that has some water in the bottom, but it’s down too far for the crow to get at it, and the pitcher is too heavy for the crow to tip over. The crow eventually figures out that by dropping pebbles into the pitcher, the water level rises and he can reach it with his beak. The moral of the fable has to do with ingenuity, or that brain power is superior to brute strength. Or something. Anyway, researchers in England were able to get some members of the crow family to do a version of the Crow and the Pitcher story. 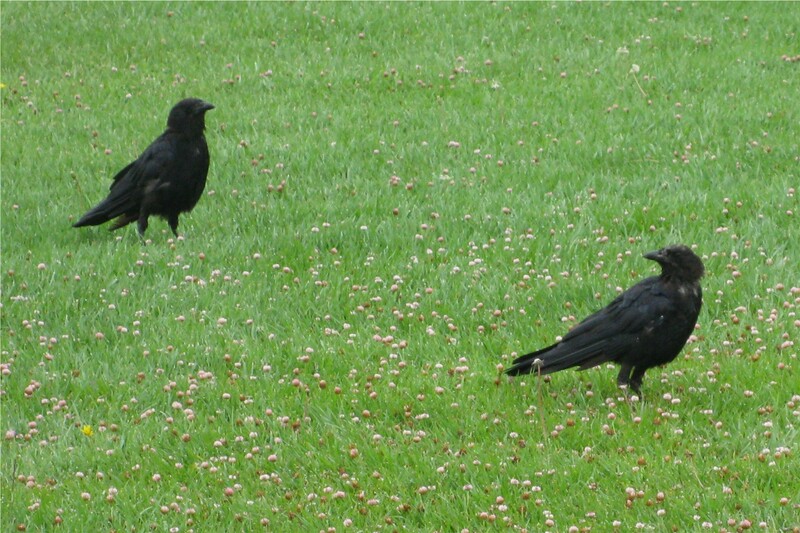 In the Los Angeles Times, Thomas H. Maugh II reported that a team of scientists confronted four rooks with a beaker that had a wax worm floating in it, out of the birds’ reach. The scientists gave the birds a little nudge by placing some stones nearby. “Two immediately figured out how to get the worm,” according to Maugh, “and two got it on the second try.” The smartest rook stopped participating in the experiments when she realized that eating the wax worm made her sick to her stomach. Oh, and here’s an interesting coincidence: the University of Cambridge zoologist who conducted the research is named Christopher David Bird. Aesop might have called the experiment “Bird and His Beaker”. This entry was posted in History, Language and Literature. Bookmark the permalink.